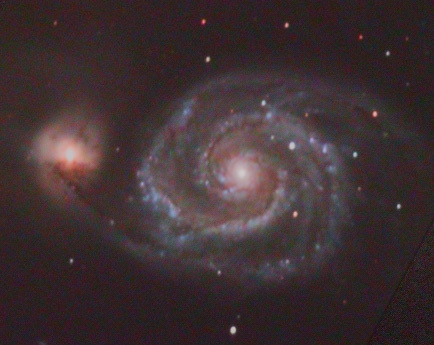 I've added a colour layer to my M51 from last month. Still not entirely happy with this object - still some slight collimation/tracking issues. Captured in k3, stacked in registax 3, coregistered and colour balanced in IRIS. Final re-combination and curves in Photoshop.